Blazing Blue Pearl 2016 Toyota Tacoma TRD Offroad Double Cab 4x4!!! 4WD 6-Speed Automatic V6 2016 Toyota Tacoma TRD Offroad in Blazing Blue Pearl, Bluetooth for Phone and Audio Streaming, Hands Free Calling, CLEAN CARFAX, ONE OWNER, NAVIGATION GPS NAV, 4D Double Cab, V6, 4WD, Blazing Blue Pearl, 115V/400W Deck Powerpoint, ABS brakes, Alloy wheels, Compass, Cruise Control, Electronic Stability Control, Front Bucket Seats, Illuminated entry, Low tire pressure warning, Off Road Tuned Suspension, Radio: Entune Premium w/AM/FM/CD/Nav/App Suite, Remote keyless entry, Traction control, Variable Intermittent Wipers. 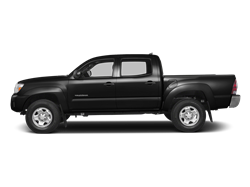 Hello, I would like more information about the 2016 Toyota Tacoma, stock# 8R321B. Hello, I would like to see more pictures of the 2016 Toyota Tacoma, stock# 8R321B.